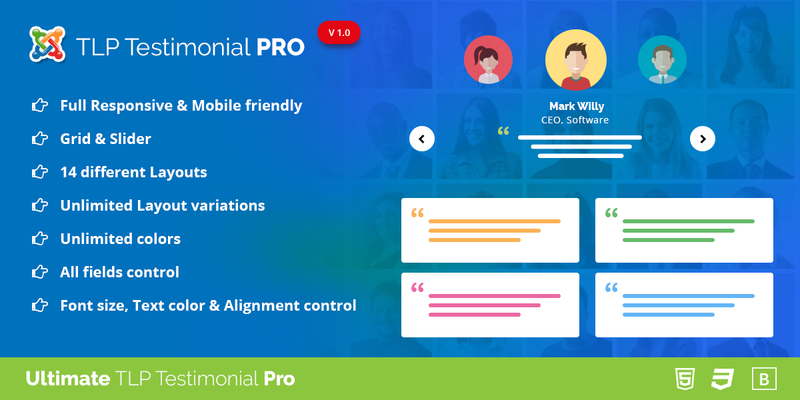 TLP Testimonial PRO is fully Responsive & Mobile friendly Joomla Testimonial Component & Module for Joomla. It has 14 default layouts with 6 Grid Layouts and 8 Slider Layouts. You can display your client testimonial in 30+ layout variation. 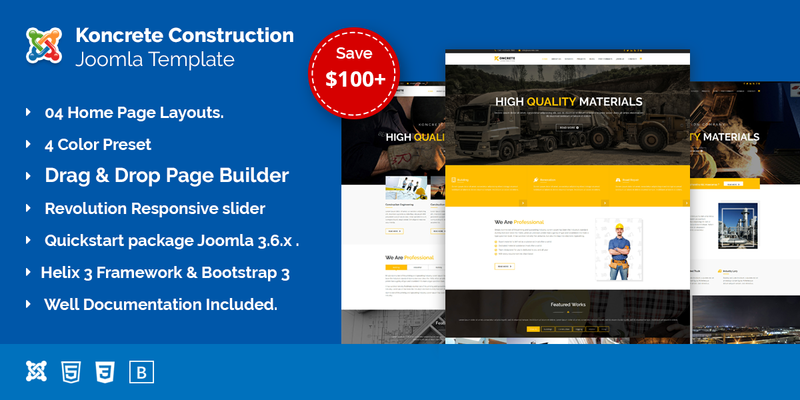 It has module included with all component layouts with additional 8 Carousel Slider module. It has search plugin. Full Responsive & Mobile Friendly. 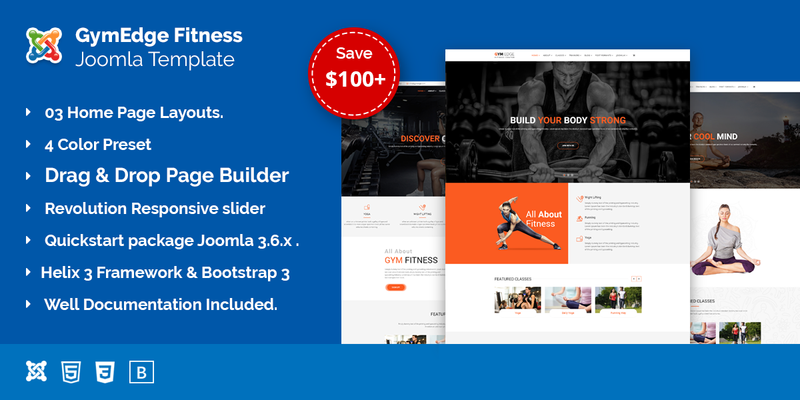 14 Layouts (6 Grid & 8 Carousel Slider). 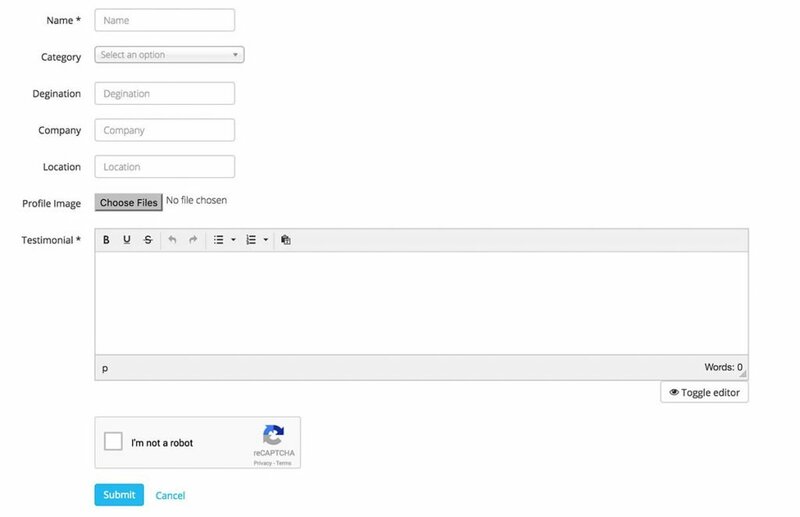 Front End Submission with Google Re-Captcha. All of 14 layouts are full responsive for all Desktop, Tablet and Mobile Devices. 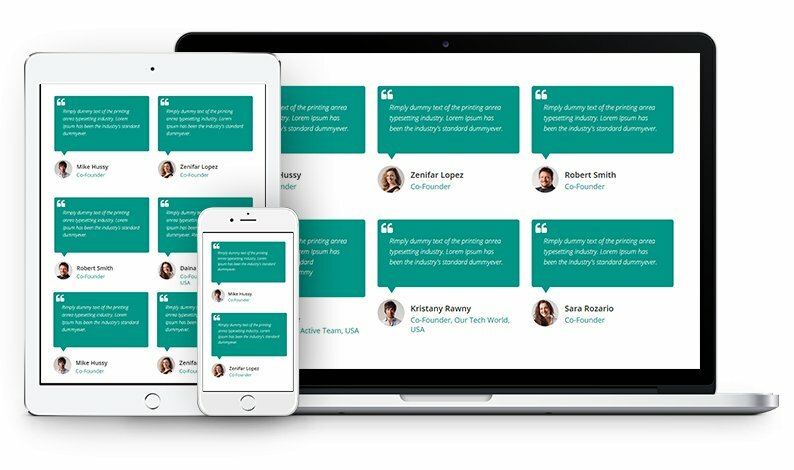 Grid: 6 Grid Layouts you can set Grid with default margin or no margin. 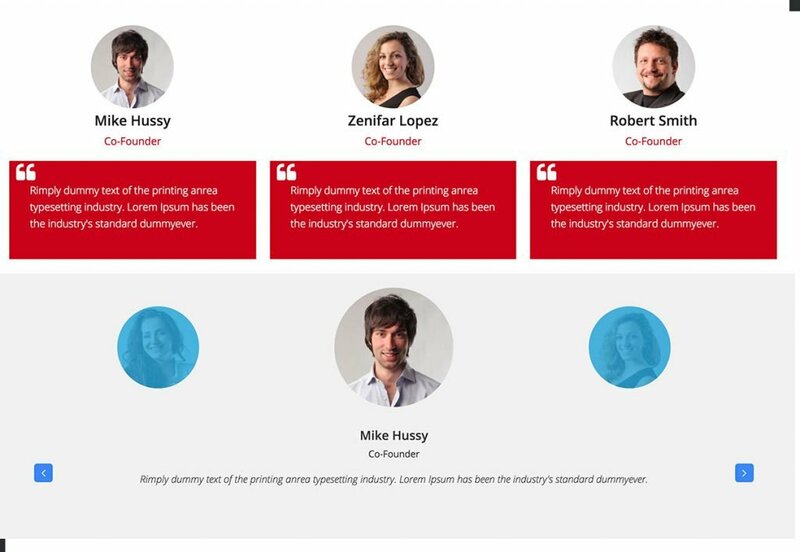 Carousel Slider: 8 Carousel Layout you can set with default margin or no margin. 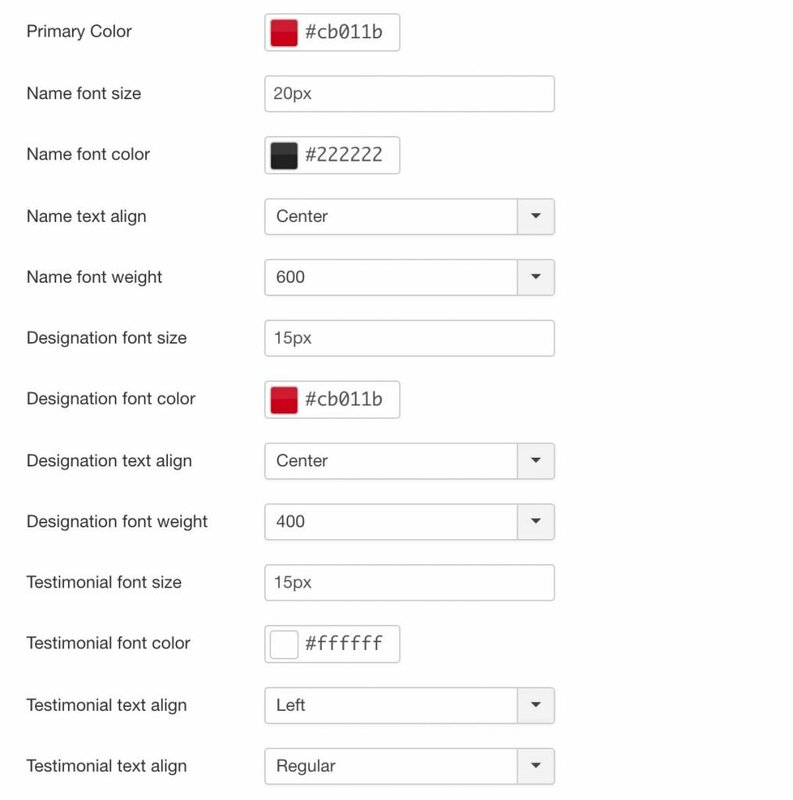 You can set all necessary colors like background color font size, alignment, font weight and font style. You can control how many show in Desktop, Tab and mobile device. You can control all fields of List view page can show which fields you want to display or hide which don’t want to display. 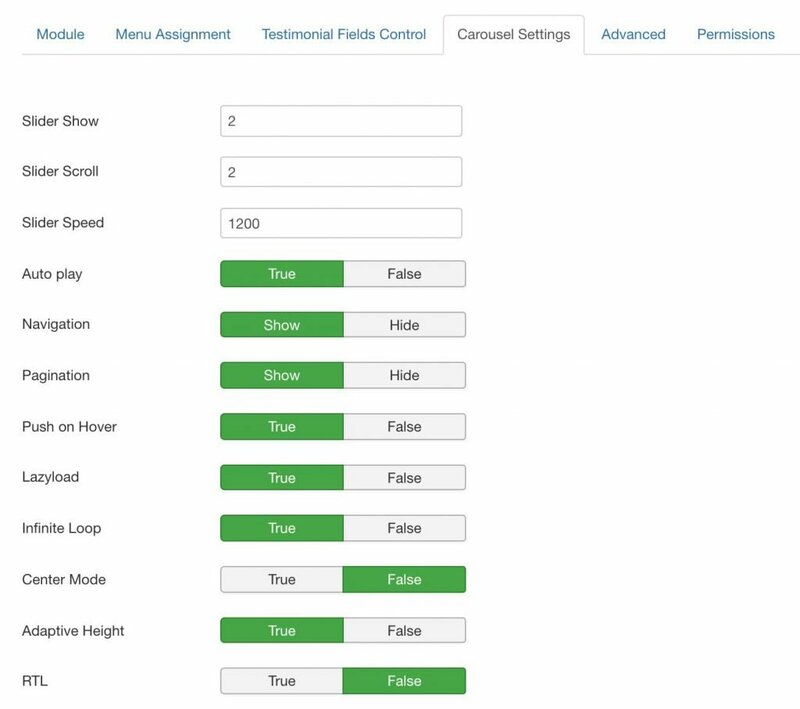 From the module settings you can set which slider module you want from Slider 1 to Slider 8. Front end submission with Joomla default Google re-captcha. Fix front end profile image upload issue. Add: Joomla core Multi-language feature.